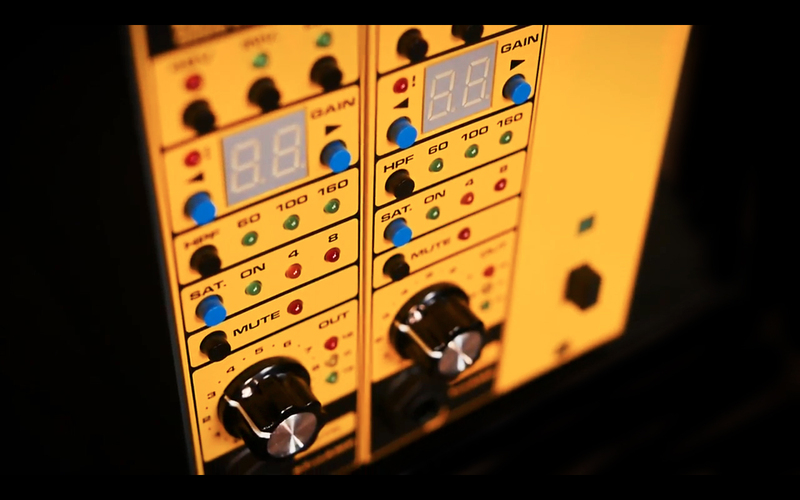 SATurAMP is one of a kind microphone / instrument preamplifier, equipped with an original saturation circuit in 500 format. Due to this unique combination SATurAMP is not only creative but also universal tool capable of producing powerful sound, with great detail preservation. SATurAMP not only incorporates solutions inspired by designs from the 60s, but also many original, modern ones, including digital control over the majority of functions. This particular feature eliminates mechanical switches from the signal path. It significantly improves reliability and endurance of SATurAMP. The mechanic elements were replaced with hermetic relays and semiconductor switches. SATurAMP’s input is equipped with SOWTER transformer, based on the AP2620, found in legendary API preamps. The operating amplifier, build entirely of discrete class A elements, is responsible for amplification. Design refers to early operating amps from the 60s. 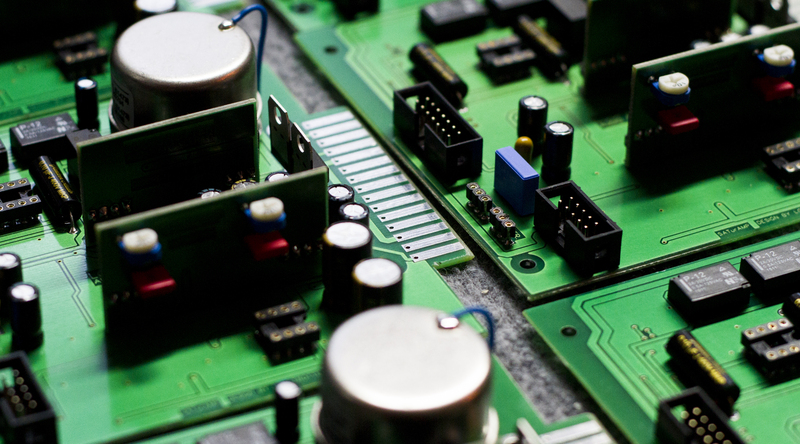 However the solution of gain regulation comes from XXI century – it’s digitally controlled via micro buttons. The amplification value, expressed in dB, is shown on digital display. 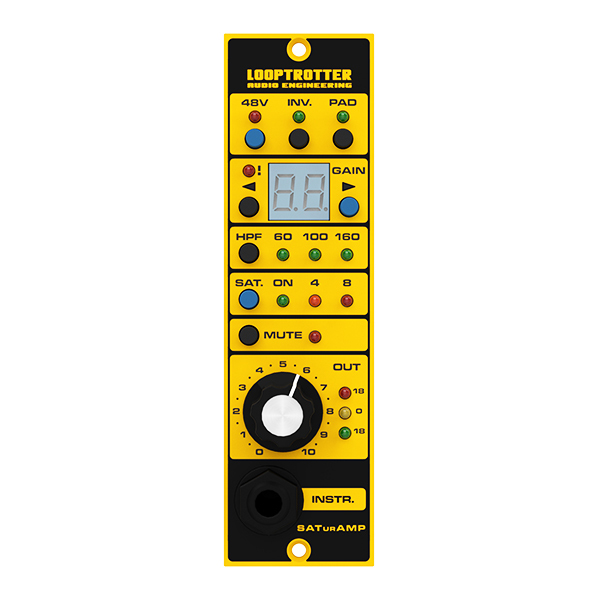 The core of SATurAMP is an originally designed saturation circuit, known from Looptrotter SA2RATE. It was inspired by the sound of old tape recorders and analog consoles. It smoothes signal peaks, in intelligent and ear friendly way, adding low order harmonics. The saturation works like a soft limiter, making it possible to record tracks with high level of RMS signal, without distortion, sounding neat, detailed and crisp. The instrumental input is based on discrete transistors, operating in class A. The appliance of FET transistor enriches the signal with small amount of even, harmonic frequencies, positively affects the sound of instruments plugged directly to SATurAMP. This refers not only to guitars and bass instruments but also to digital synthesizers, adding warm, analog touch. The signal path of SATurAMP is minimalistic. All components are carefully selected true to the original Looptrotter sonic character. The SATurAMP is 100% original design and has no equivalents either analog nor digital.